Bentley has a surprise in store for Geneva next week. Any guesses what it might be? With less than a week to go until this year’s Geneva Motor Show, manufacturers have been previewing some of the new cars we can expect to see. While we’ve already seen some high-profile reveals ahead of the show like the Ferrari 488 Pista and 2019 Porsche 911 GT3 RS, there are still plenty of surprises left in store. It was recently revealed that there could be , which got us speculating about the possibility of the production Valkyrie breaking cover at the show. Another British automaker with a surprise in store is Bentley, as the company has confirmed that an “exciting new model” will be unveiled but hasn’t given any clues about the mystery model. What could it be? If we had to guess, a new Continental GT Convertible seems like the most likely candidate, since the . The Coupe takes its cues from the EXP 10 Speed 6 Concept, so we have no doubt that the convertible version will look sensational. Alternatively, we could see the debut of the new Flying Spur, as a prototype was recently caught testing in the snow. However, we suspect Bentley would have a proper teaser campaign for such a major reveal. Another theory is that Bentley could use the venue to debut the rumored Bentayga plug-in hybrid or coupe-SUV variant, but we’ll have to wait and see. 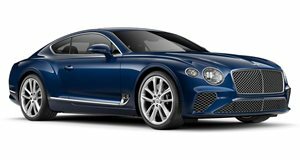 As for the cars that we do know will be on display at the Bentley stand, the automaker has confirmed that the will be making its motor show debut alongside the new Continental GT. Bentley’s Mulliner personalization division will also be showcasing a unique Flying Spur W12 with a new aniline leather and open pore veneer finish.